How good is EXERCISE for your brain? Everyone knows exercising can make your muscles stronger – but did you know that the right exercise can also strengthen your bones, ligaments and tendons? Bones respond to loading best described by Wolfs Law. Wolff’s law, developed by the German anatomist and surgeon Julius Wolff (1836–1902) in the 19th century, states that bone in a healthy person or animal will adapt to the loads under which it is placed. We can load our bones by engaging in weight bearing activities such as walking, jogging, skipping, or types of resistance training. However, the opposite is also true – if the loading on a bone decreases due to injury, or lack of activity, the bone will actually become less dense and brittle. 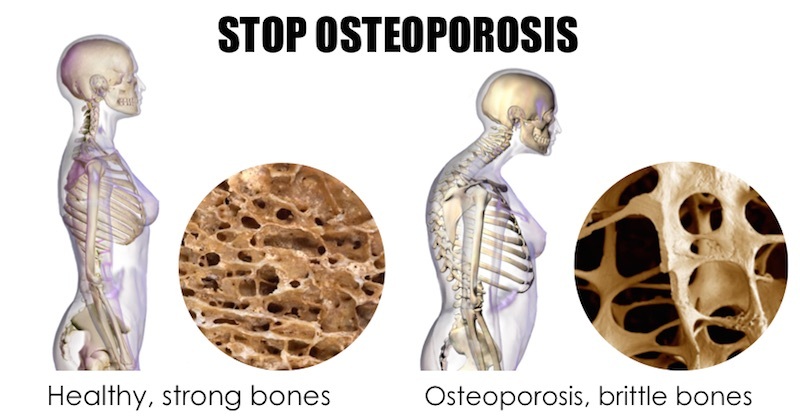 It is natural for our bones and muscles to become less strong and dense as we age. However, we find that many people are accelerating their bone loss because they become less active with age. This results in conditions like osteoporosis which put you at risk of fractures! Severe osteoporotic people can fracture their hips just by stepping off a gutter! Too often we see older adults exercising in the pool as their only form of activity. This can be a good place to start if we have considerable arthritic pain – but we should always be encouraging older people to exercise on the land where their bones will be loaded and therefore improve in density over time. If you need help creating an exercise plan that is right for you or someone you know, give us a call and we’ll get you started on a safe and clinically appropriate program that’ll add years to your life (literally). You’re never too old to start a program with an Exercise Physiologist!